Red Badger are always looking at new ways of working with regard to our tech stack as well as our process engineering methods. Our focus is on helping our clients to realise benefit as quickly as possible. We’re always looking at where different business verticals have big problems that need to be solved in a smarter way. One such problem that is obvious is the retail sector. Retailers spend a fortune on implementing their e-commerce stores and are often faced with huge problematic programmes that go-live in a big bang release that goes wrong from day 1. John Lewis spent £40m on a new e-com platform based on ATG Oracle delivered by Deloitte. This took years to implement with a big bang approach at the end of the project. When like John Lewis, you are selling £1bn revenue online, that is a long time and a lot of expenditure before you can start to realise value. TEN YEARS! And £40m that gives you nothing fundamentally different. Delivering these programmes are also not without big problems. £40m for John Lewis’ website is expensive but at least that was what the programme was budgeted at. Another large (to remain nameless) retailer ended up spending six times their original budget for their e-com re-platform onto IBM Websphere Commerce resulting in a cost to date of several 10's of £millions. This is quite typical of retailers. Go with what everyone else is doing, feel the pain and spend the cash (because it is seen as the safe bet). Paul Coby is delivering what will be considered a very successful, large scale project that may also be the perfect solution for their organisation. However, for many scenarios, surely there is a better way to deliver E-com solutions? In recent years the speed at which technology has improved has been incredible. The development of open source software has been particularly impressive. If you speak to Stu he has some strong thoughts on this. His opinion is that Github has been massively influential in how people develop software and the speed at which it is developing as a result. The biggest companies (Oracle, IBM et al) just cannot adapt at the speed at which the collective open source community can (The speed at which things are moving takes a lot of effort to stay on top of the latest greatest. But, it’s worth it). Large companies are starting to embrace open source. Several of our clients have allowed us to develop large enterprise applications for them using a modern open source tech stack (Node.js, Ruby, Elasticsearch, RabbitMQ, LiveScript, Component etc, etc…). Walmart are now building all of their mobile commerce applications based on Node.js. They are making a strategic investment in Node.js transitioning from a core Java solution with a vision of revolutionising retail through technology. Unfortunately, Walmart is certainly an exception to the norm in retail. The attitude of using a “default choice” for e-commerce seems to be the norm and with it comes all of the pain and expense. We have recently had an opportunity to deliver a complete re-platform of a heritage retailer’s e-commerce website. This retailer had no desire to use a huge monolithic solution such as ATG or Websphere Commerce. However, they have been looking at the following options as serious contenders. Magento – Magento is (was) an open source platform built on old technology (PHP) and is incredibly slow. It has got so large (8.2million lines of code) that it has ground to a halt. It has only 8 open source contributors. That’s 1 million lines of code per contributor! Back in 2011 it was also acquired by Ebay effectively incorporating it as a standalone venture. Who knows what is going to happen to it but if it is to make a comeback, Ebay will need to invest heavily in product development to effectively rebuild it from the ground up. Hybris – Is a Java based (Spring Framework) and has now been bought by SAP. With SAP focusing on a B2B model and immediately hiking the license fees for Hybris, the future of Hybris as a platform for retailers is unknown. Looking at these three options, we quickly discounted any of them as a viable platform for the opportunity that was on our table. We wanted to do this right with modern, flexible, scalable technology that could be delivered quickly and cheaper to provide the client with real value, allowing them to realise benefit as soon as possible. The client was open to suggestions. They wanted their new solution to enforce their brand, and bring it firmly into the 21st century by being innovative with both technology and delivery methodology. As a result, we did lots of research around e-com platforms to see if we could find something that fitted our criteria. During our research, we came across Spree Commerce. The storefront supports responsive web design out of the box for a great user experience. It also has a complete feature set across Product Catalogue, Marketing & Promotions, Payments, Shipping, Site Management & SEO, Checkout, International Features (such as multi-currency) and Analytics & Reporting. As well as the Open Source Spree Commerce Storefront, Spree provide a managed software as a service Spree Commerce Hub. This is basically a message broker that integrates seamlessly with the Storefront. It effectively decouples your Storefront from complex back-end integration and automates all of the logistics between the two. There are lots and lots of out of the box back-end integrations and they continue to grow. The Spree Hub is fully managed as a service by Spree Commerce so comes at a cost, albeit a very competitive cost. It’s also a yearly license fee that is fixed, so the cost doesn’t escalate depending on the scale of your business (like Demandware). The Storefront combined with Spree Hub is a very, very compelling option for how to deliver e-commerce platforms smarter. 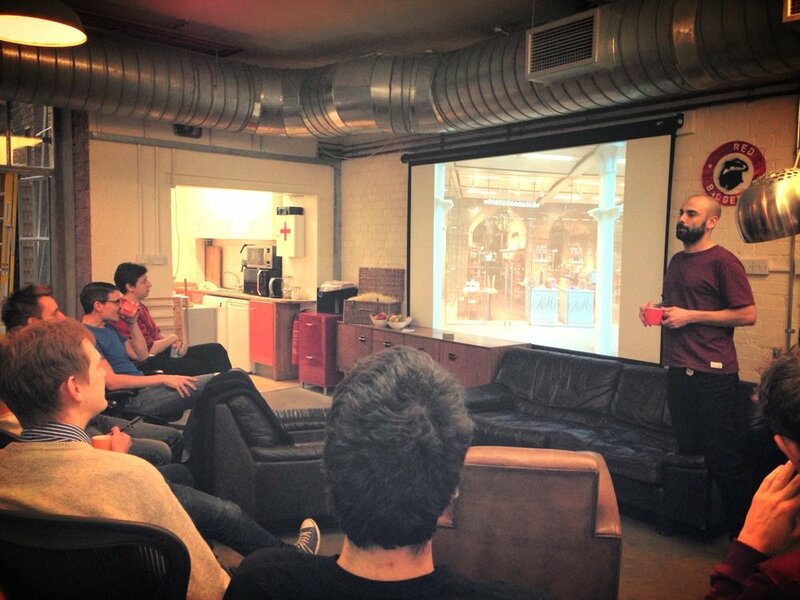 After this weekends hackathon, Red Badger will definitely be recommending it as the way forward to our retail clients. We are excited by how we can approach building enterprise scale e-commerce platforms, delivering them at a fraction of the cost of other platforms and delivering it incredibly quickly using methodologies such as Kanban and Continuous Deployment. We're looking forward to using Spree to integrate to the likes of Elasticsearch and then contributing our code back into the community. We'll be using The Spree Hub as a message broker too. Our clients tend to be large and have the usual complex back-end systems such ERP, Logistics and Fullfillment. In general, the integration of many systems is made much easier through Spree. The API in the storefront will allow us to easily integrate native apps as well as a responsive web front-end because they will effectively just be consuming the same data. The proposal is compelling. At Red Badger, we don’t think there is a better E-com solution than Spree Commerce out there at the moment. 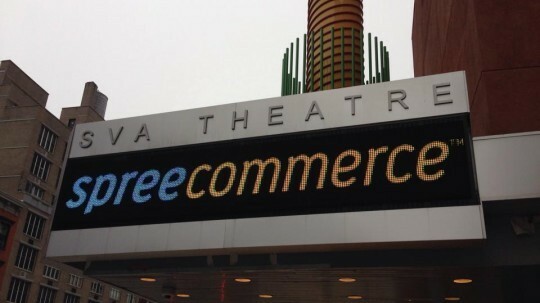 As part of my investigations into Spree Commerce, I went to SpreeConf in New York in late Feb to meet the community, find out more about the platform and see who is using it and how (I’ll write a separate blog summarising the conference itself so will keep this section short). At the conference, I was blown away by the enthusiasm and energy of the community. Everyone is genuinely excited about what they can do on the platform. Two key speeches that I’ll mention now were from Antonio Silveira - VP Engineering at GoDaddy (who have just announced their partnership with Spree) and Andy Dunn, CEO of Bonobos who are replatforming to Spree but have also just released their female clothing line Ayr.com in just 96 days for first release. Andy Dunn shared the vision sentiment. Basing most of his talk on why E-com is bad business he finished by saying “Spree is here to save the day in transforming e-com”. Both of these are very compelling views from the guys that are already doing it with regard to Spree Commerce. As a company, Red Badger are very excited about Spree. We feel we can bring something new to the table for our retail clients, both present and future, to help remove the pain and cost that is typically felt by using a “default choice”. The Spree community is incredible. Spree clients are customising Spree to fix problems they experience (be it an integration to Elasticsearch or a CMS) and with the help of Spree Commerce these are finding their way back into the product. Companies that could be seen as being competitors are sharing their code and their learnings (We had a developer from Rails Dog join us for the Spree Hackathon at our offices this weekend) in true open source fashion. All of this results in a great product, that is improving rapidly and everyone benefits. Watch this space on updates on our Hackathon and more blogs about our learnings with Spree Commerce. We have also started a London Spree User Group at our offices to see if we can generate more interest in the open source community here in London and to share war stories. Hopefully, we’ll be delivering our first projects on the platform soon so we’ll keep you updated on that too. We’re looking forward to getting involved with the community, contributing back and making e-commerce a much nicer space to be playing in. See below for some examples of some nice Spree Commerce sites that are live. I think you’ll agree the user experience and design of these sites are delightful and all are responsive.